One of the strongest use cases we have found for VR has been in change management and user group discussions. In this case we modeled out an entire patient room suite including restroom, equipment, and a decentralized nursing station. 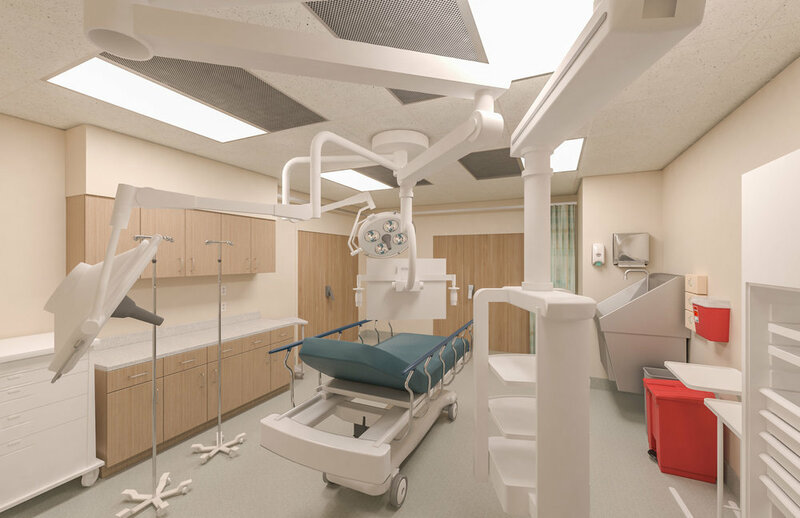 This allowed the design team to show doctors and nurses what exactly to expect in their new spaces and gave them an opportunity to give useful feedback on equipment placement, room layout and many finer details. Often input at this level is difficult to get through reviews of traditional plans and renderings. Virtual reality also was extremely useful to build excitement around some of the project's dramatic spaces like the chapel and main lobby.